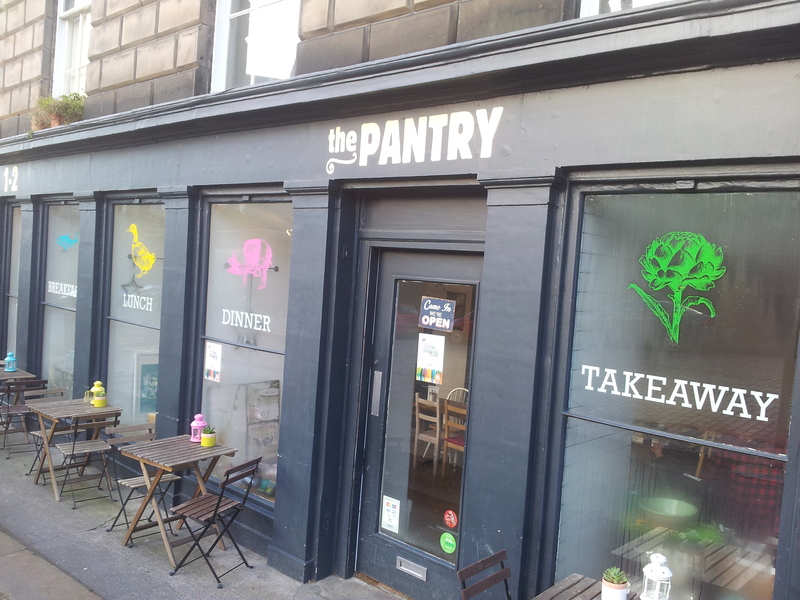 Until last weekend I have often passed The Pantry on Circus Place on the way to Stockbridge and thought, due to the steamed up windows and packed tables, it looks like the type of cafe I could happily enjoy some food, a large pot of tea and have a good natter! After a lunchtime visit on a particularly blustery Edinburgh afternoon I am pleased to report it was exactly that. Inside there is a lot of exposed wood and tartan pillows on benches and the walls are littered with cute sayings and interesting posters – the type of posters in frames I lust after on Not On The High Street. It’s always great to see independent cafés full at the weekends, and my friend and I were lucky to get a table as soon as we walked in. If you’ve read my blog before you might have picked up that I’m a bit of brunch fiend. Usually when confronted the option for an all-day breakfast, I find it hard to deviate from eggs or pancakes, however The Pantry menu had me fully engrossed in the sandwich options. 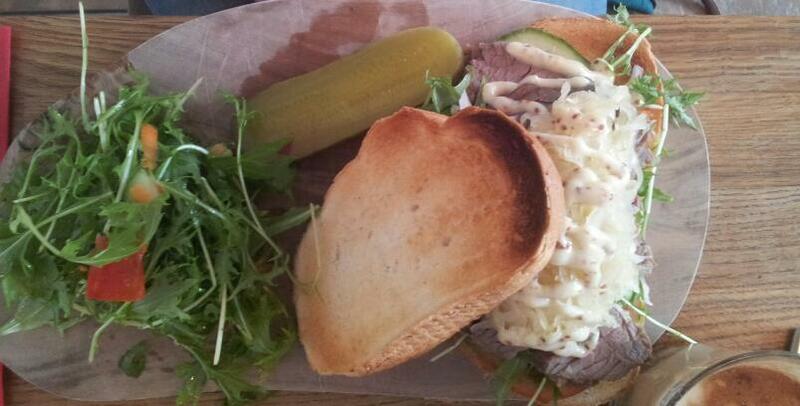 I went for pulled pork sub with homemade slaw and home cut chips, and my friend had the roast beef on rye bread. 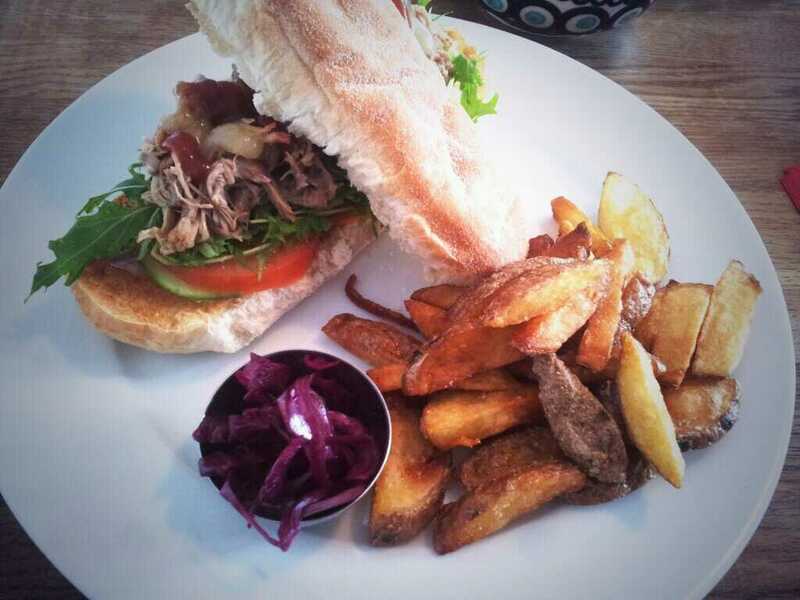 Melt in your mouth pulled pork sub! Our chatter stopped for a full five minutes when the food arrived – always a good sign! 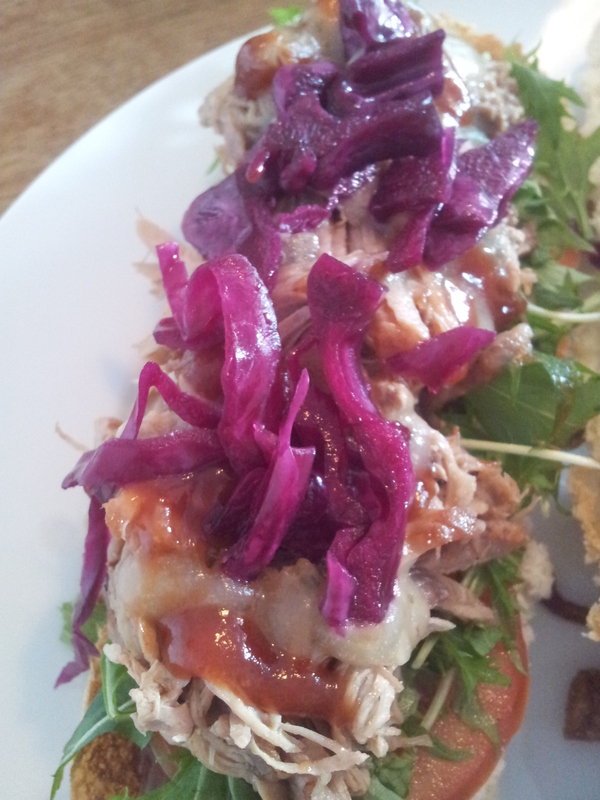 The pulled pork was melt in my mouth delicious and the fresh sub was packed with salad leaves and a lovely bbq relish on the bottom which had quite a kick. The star of the plate was the home cut chips, they were so light and crispy I could have eaten a whole plate full. On to my friend’s plate – she said the roast beef on rye was not at all dry (she worried after ordering it might be) and like the pork, melted away. What would have made it *absolutely perfect* was if there had been some mayo to dunk the chips into. There was mustard mayo on offer (it came with the roast beef), but for the non-ketchup lovers out there, how good is mayo with your chips?! Perhaps that’s just my mayo addiction coming through there. That aside, there were lots of interesting options on the menu, and you really could have had breakfast, lunch or even an early dinner. I’d happily sum The Pantry as one of those places where there is something for everyone.